Dr. Gary Tanner, M.D., a Board Certified Ophthalmologist, joined Hampton Roads Eye Associates in 2006, but has been serving patients in the Tidewater area since 1993 when his military service brought him to Virginia. Dr. Tanner earned his Bachelor of Arts at Hendrix College in Conway, AR. He received his Doctor of Medicine from the University of Arkansas for Medical Sciences. After an internship in San Diego, he became a Naval Flight Surgeon. He enjoyed his service to the Marine Air Groups in North Carolina. Dr. Tanner then returned to San Diego to complete his residency in Comprehensive Ophthalmology at the Balboa Naval hospital. Dr. Tanner served as Chairman of the Ophthalmology Departments at Camp Lejeune, NC and the Naval Regional Medical Center in Portsmouth, VA prior to his retirement from the Navy in 2006 with numerous honors. Dr. Tanner, a Diplomate of the American Board of Ophthalmology, specializes in the latest techniques in cataract and oculoplastic surgery. In addition, he has extensive training and experience in the care of glaucoma, diabetic eye disease, and dry eyes, as well as comprehensive eye care. Outside of his Ophthalmology practice, Dr. Tanner enjoys biking, golfing, kite surfing, and reading. 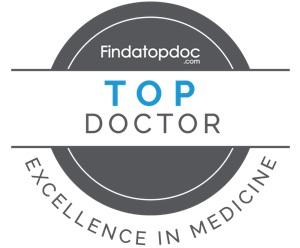 Selected as one of Coastal Virginia Magazine’s Top Doctor in 2012, 2013, 2014, 2016 and 2017. Dr. Denise R. Chamblee, M.D. Dr. Brian M. Keel, M.D. Dr. Steven E. Kitay, M.D. Dr. Andrew W. Lewis, O.D, M.D. Dr. Matthew D. Reed, M.D. Dr. Carla A. Sappenfield, O.D.